The crossover is a newer class of vehicle. Its considered a light sport active utility vehicle, but crossover is easier to say. 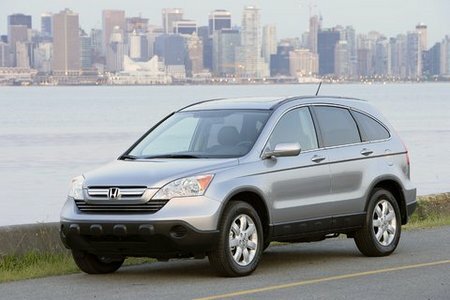 The CRV comes with a 2.4litre engine pushing 180hp, and can come with a front wheel drive model or an all wheel drive version. This great vehicle is priced very aggressive for the market. The CRV for 2010 blew Volkswagen's crossover out of the water selling 204,000 units!!! VW only sold just over 21,000.